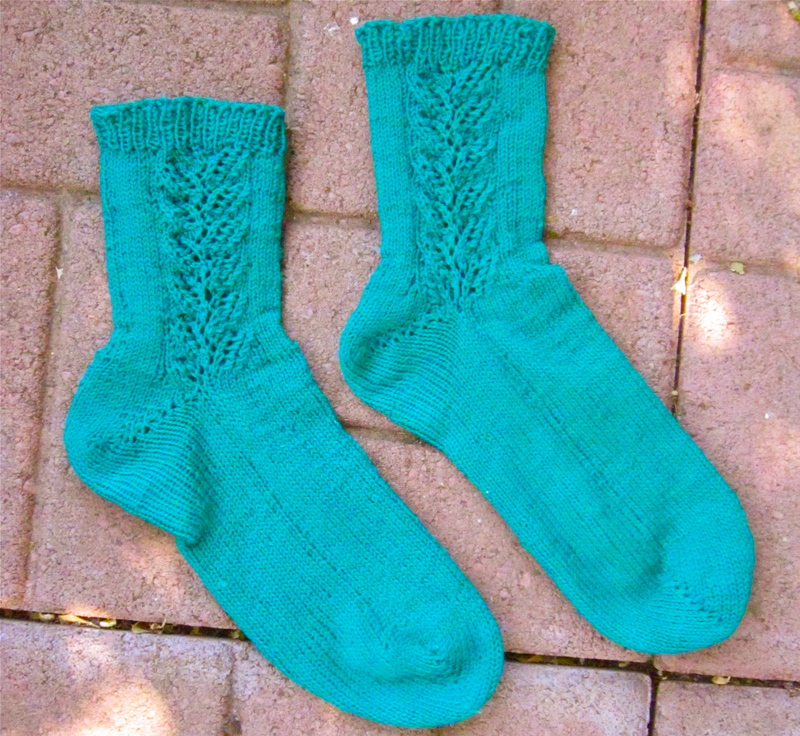 I finally finished my fern lace socks! Just in time for Autumn too. Of course, it’s still in the 90s here, so it’s not quite sock weather. I’m hoping that will change soon. 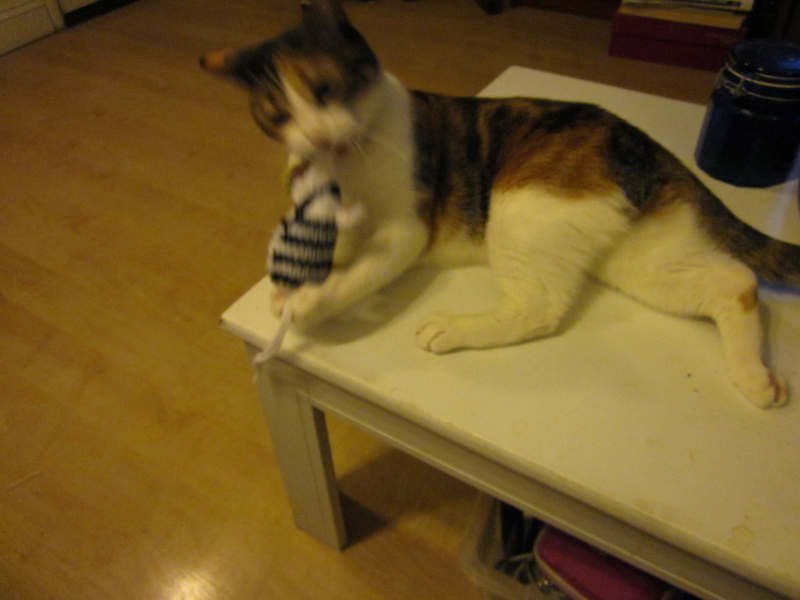 It is really difficult to photograph one’s own feet wearing socks…let’s just say you need some flexibility. Anyway, I’m quite happy with how they turned out. It’s difficult to do justice to this color, which a fellow knitter described as “peacock.” It is quite vibrant, and looks either more green or more blue depending on the light. Overall I’m happy with the way the pattern turned out. 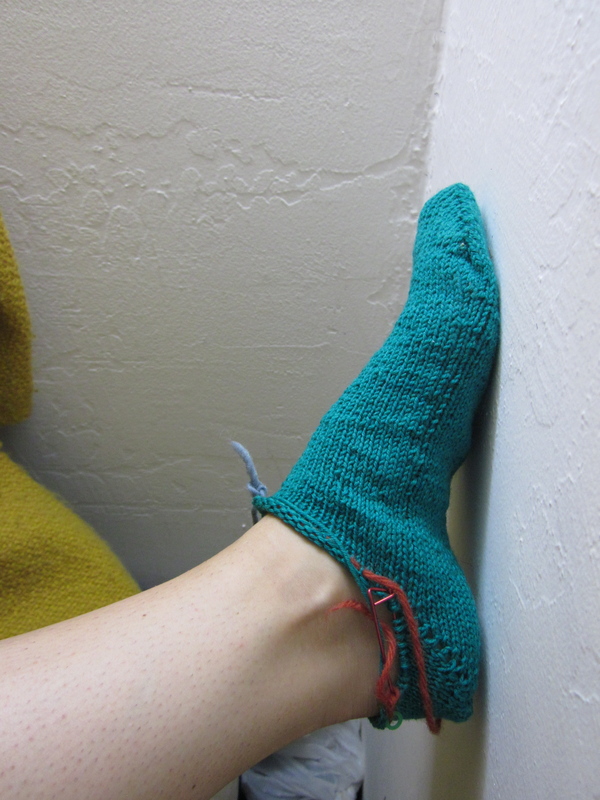 I already wrote about the sock pattern(s) I used in an earlier post, so I don’t have a lot to add. 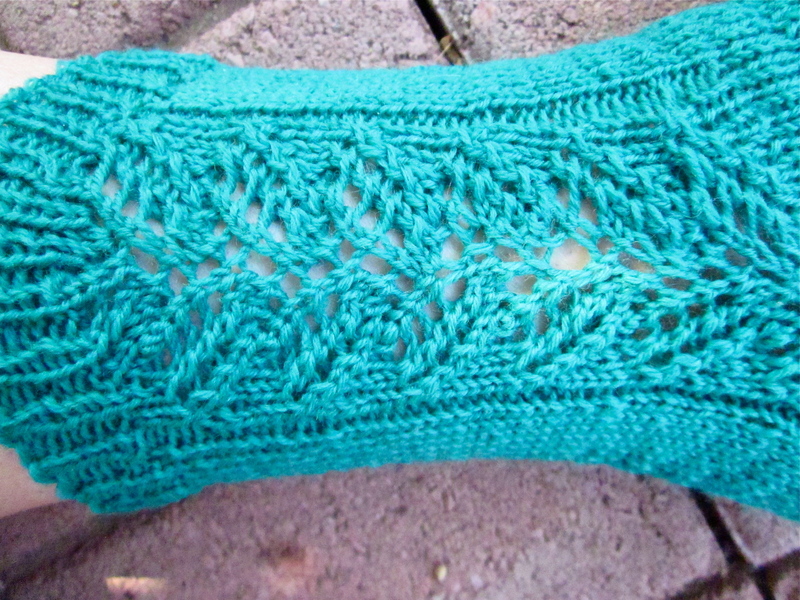 It did take a while for me to get the hang of lace knitting, but even with the few errors I know are in there, I think it looks great. 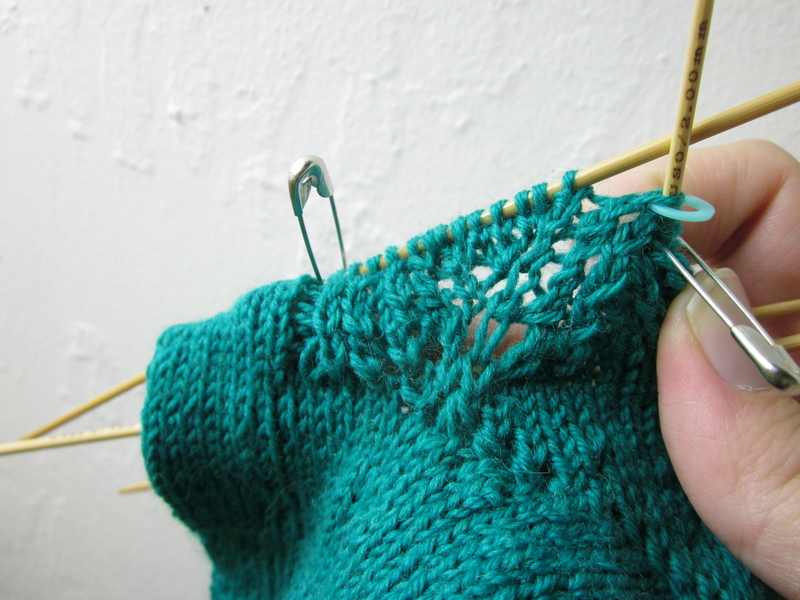 For me, the key to lace knitting was a) lots of stitch markers and b) patience. 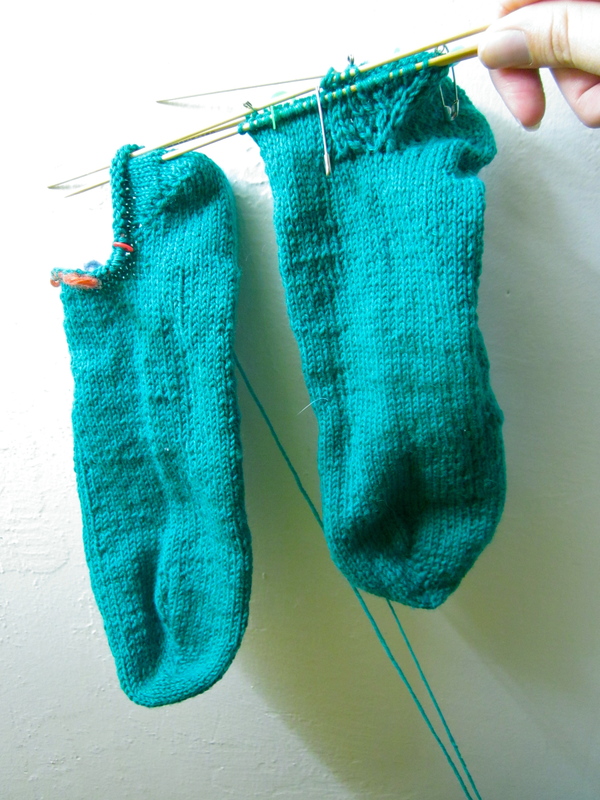 I broke two of my double pointed bamboo needles while making these socks before I figured out that second point. As you may have noticed, I changed the top banner of my blog to knitted pumpkins in honor of Fall (free ravelry pattern here; I also wrote about making them last November). 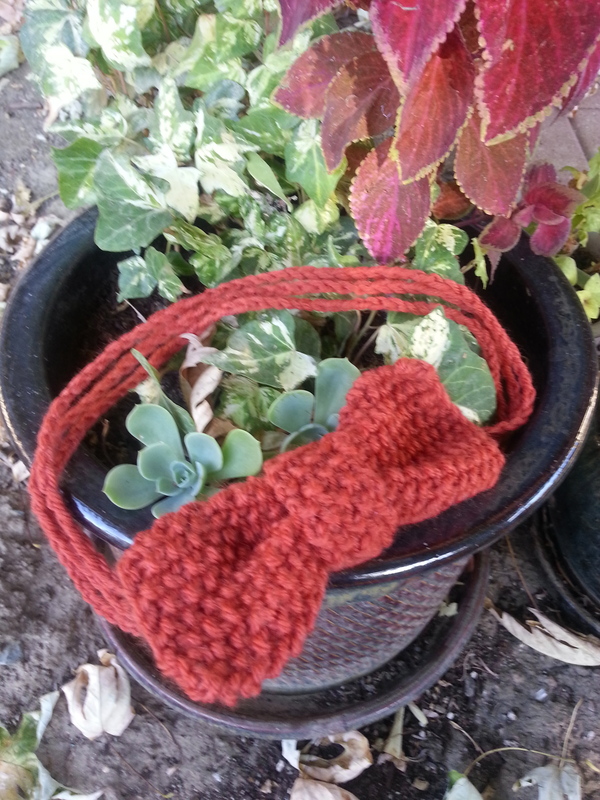 Since it is my favorite season, I figured I would include two other smaller knitting projects that I’ve made in appropriately autumnal colors. 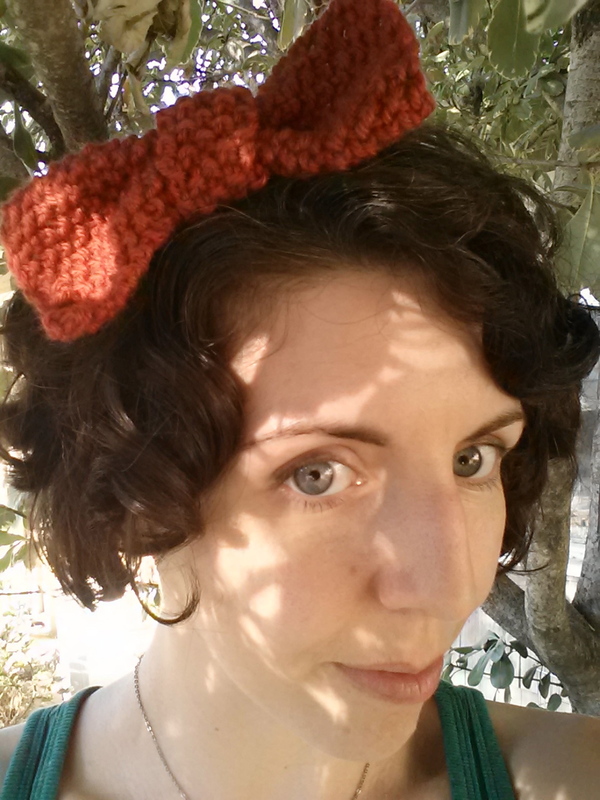 Around this time last year, I saw the pattern for this moss stitch bow headband on A Common Thread and decided it was the perfect quick project. 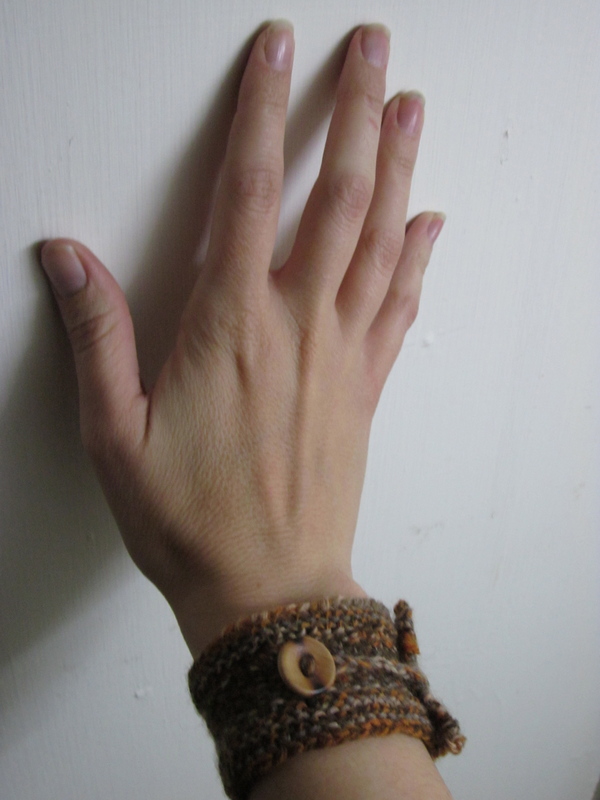 I also liked that it would give me a chance to use the very small amount of burnt orange yarn I had in my stash. 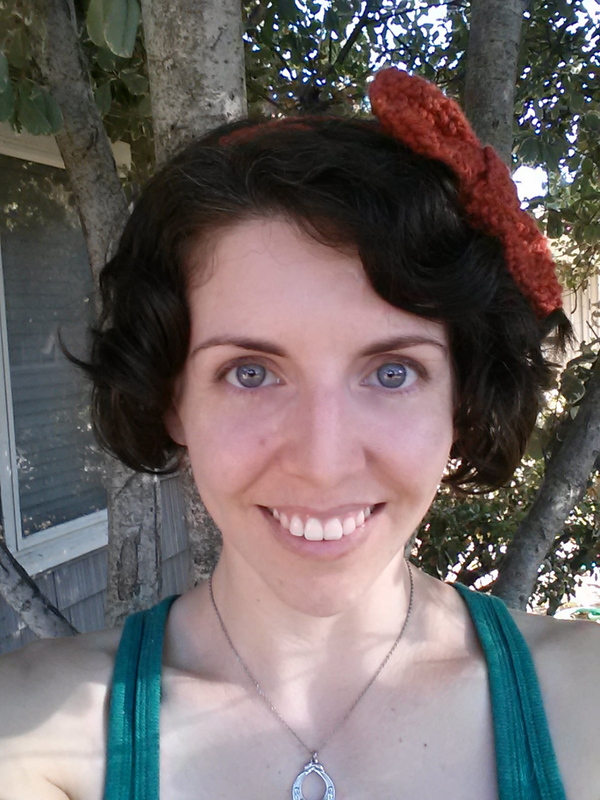 I think if I made it again I’d make it a little smaller—I have short hair and this is a big bow. 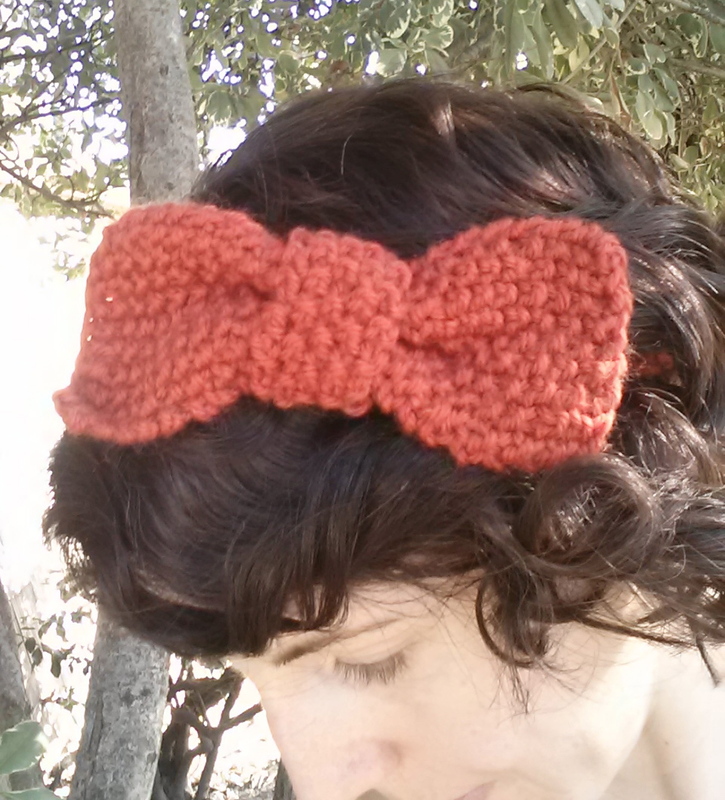 But I do like that I can shape the bow to have it either lay flat against my head or stand up a bit. 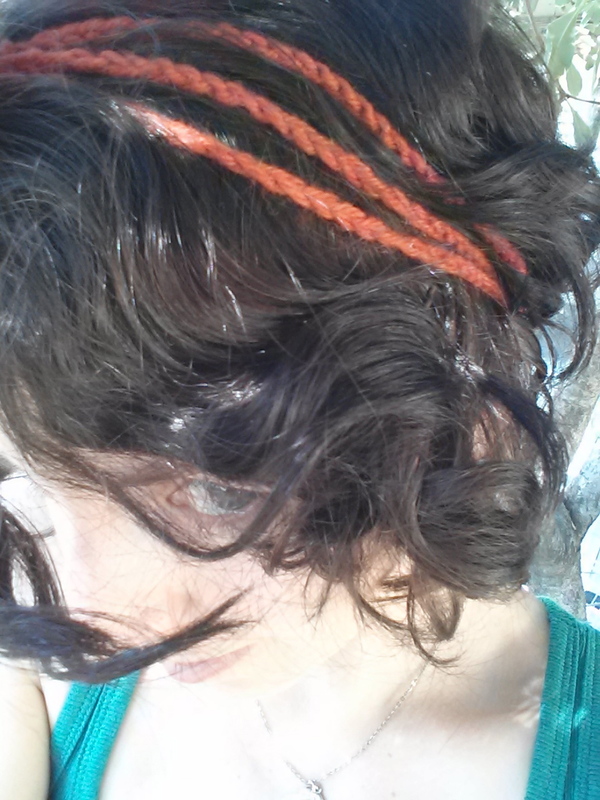 The band does not show up as well with wavy hair, but there are actually three individual strands made with a crochet hook. You can either scrunch them together or separate them out depending on your preference. I really thought I posted this project before, but it looks like I didn’t —which is fine, because the colors are the most fall like of all. 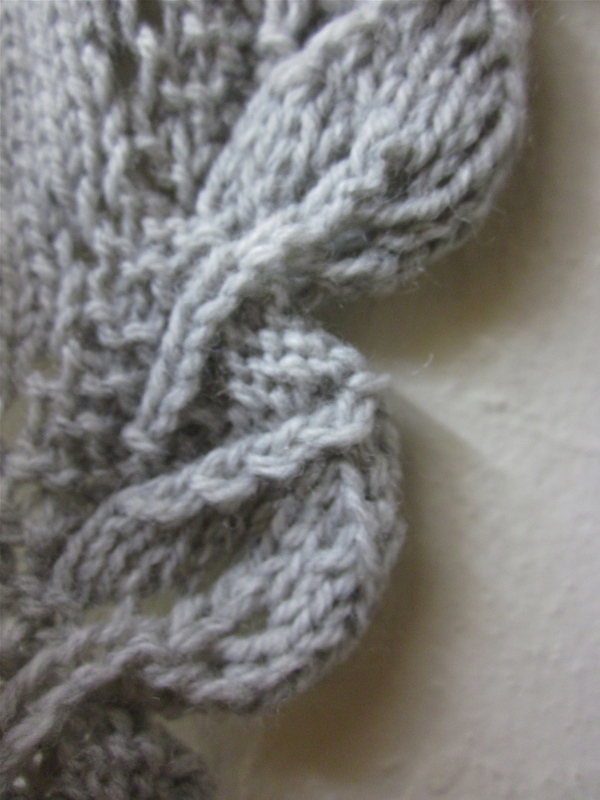 This is the Pretty Twisted pattern from Knitty’s first fall 2011 issue (free, of course). I made the “framed” version (the light teal one in their photo) and finished it with a two-toned wooden button. This was a great way to use up a small bit of sock yarn in colors I liked. 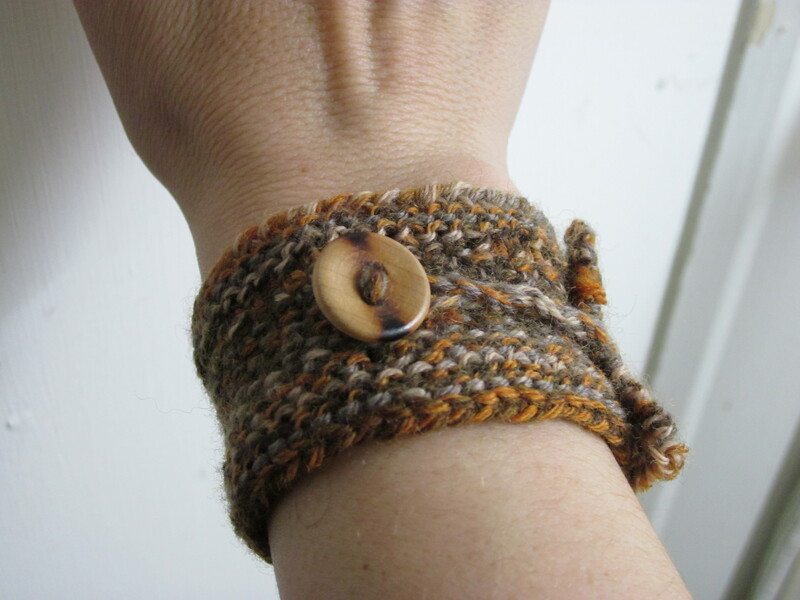 The linen stitch does a great job of lying flat and looking bracelet-like. However, I think next time I would use a yarn that is not so marled, because that kind of detail seems to get lost in the stitch. I think the idea of a twisted loop pulled through a hole and then over the button is quite clever. It’s a nice detail without a lot of added work. Sometime soon, I will post photos of other fall knitting projects—my leaves scarf (75% done), my custom fit raglan sweater (100% done, it’s just too hot to wear!) and my blue ombre cowl made from the black bean dyed yarn (95% done—it was finished but blocking it messed up the shape so I need to make a few adjustments)! I have been watching the 2012 London Summer Olympics most nights these past two weeks, and despite the annoyances of the NBC selective and delayed broadcasts, it’s been pretty riveting. It’s also been a good time to get a crap ton knitting done. Some people do this officially—on Ravelry there’s the “Ravellenic Games” group, knitters who start and finish complete projects during the Olympics. It has over 12,000 members. I do my knitting a lot more haphazardly and unofficially, but I do get some stitches done. Let me to show you. This tapered scarf is called Saroyan. 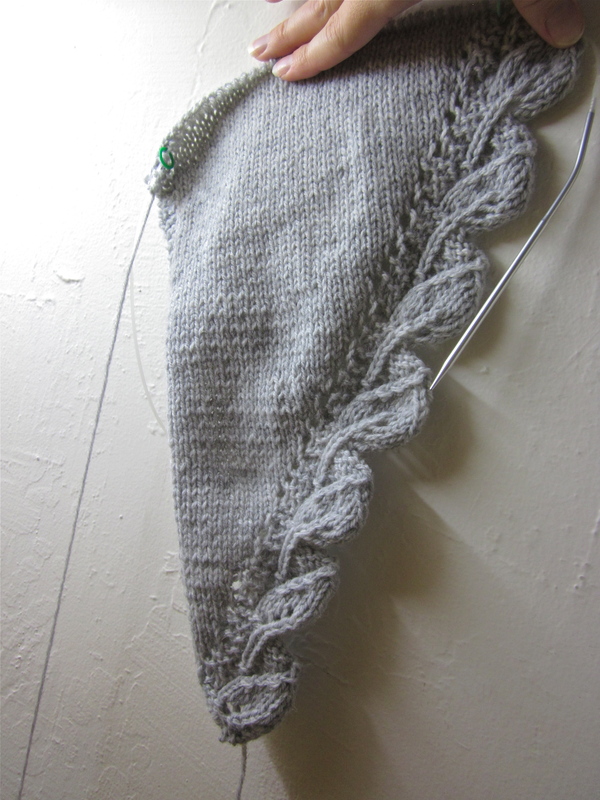 It’s a really excellent pattern so far—quite adaptable, simple but pretty, and an unusual shape for a scarf. I did not intend to start yet another knitting project, but I found that the lace socks were too difficult to knit while talking to anyone. 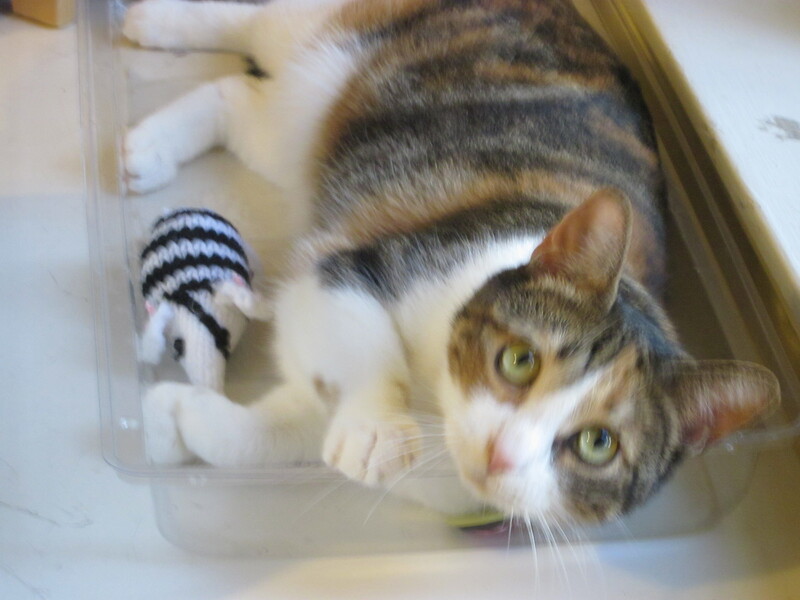 Since I do work on my projects at knitting groups, I need to have something I can knit while I interact with humans. The only part where I really have to pay attention is the edge of leaves. I have a thing for leaves. 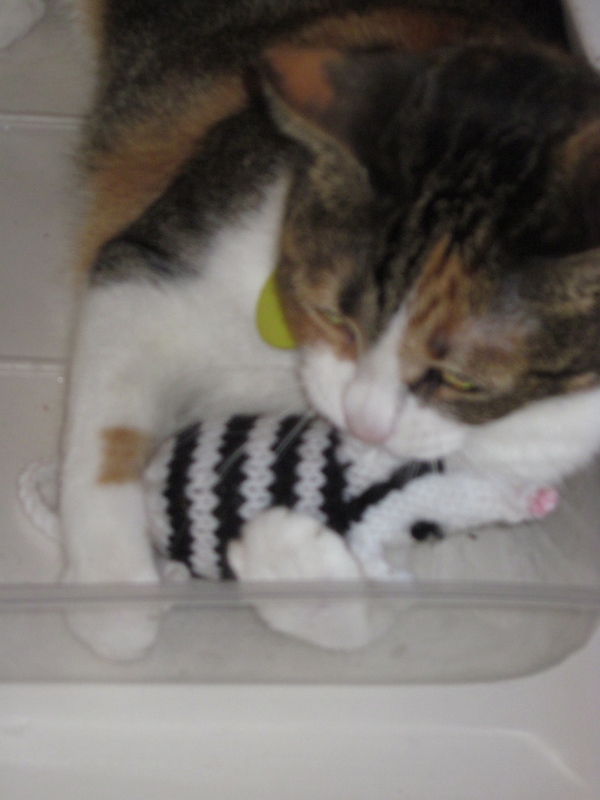 This is Captain Cat Battler, a pirate mouse cat toy. I do not know what possessed me, but when I saw it, I had to make it. 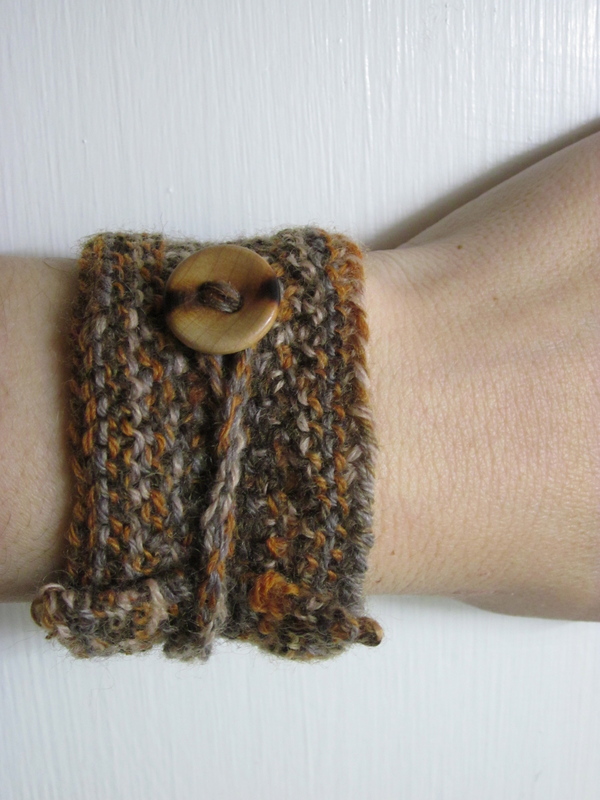 It’s a quick project to knit, though sewing it up takes a little bit more time. The pattern writers have exactly the sense of humor you’d expect from people who like pirates and cats. 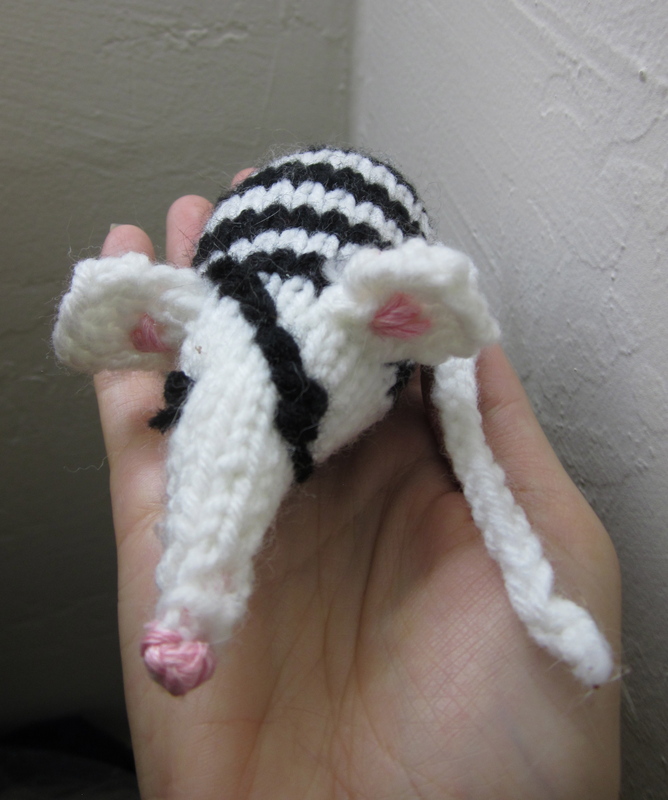 The pattern is free, but it was designed for the Battersea Dogs and Cats Home, an animal rescue charity in London, and you can donate your knitted mouse (or your pounds sterling) to help their cats. The only change I made was to add an I-Cord tail (the original tail was just a strand of yarn…which I figured would be destroyed instantly). I’d say they’re pretty much best friends now. Yarrr.